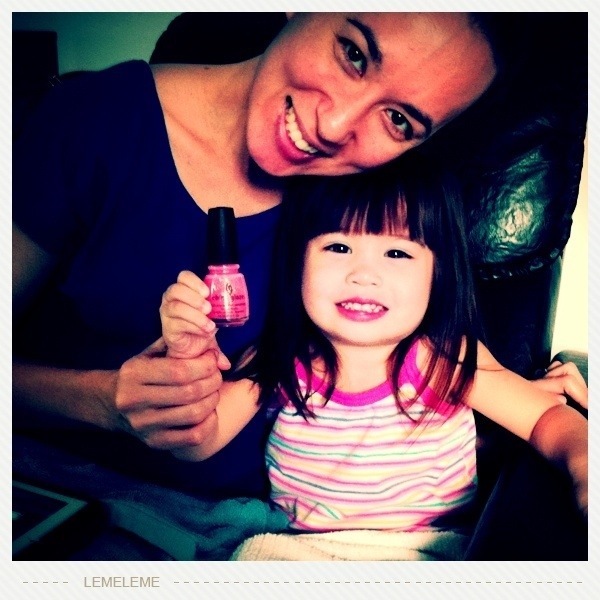 Mommy and daughter bonding at Cozy Nail Lounge in Libis, QC! I discovered this place when a church friend, Michelle Taruc, invited me to try it out last September. Ever since then, I have come here with my mom and sisters at least once a month. I really enjoy these mom and daughter bonding occasions. Tiana is surrounded by brothers but she strongly identifies with me. The masculine influence of her brothers has not over powered her. Whew! 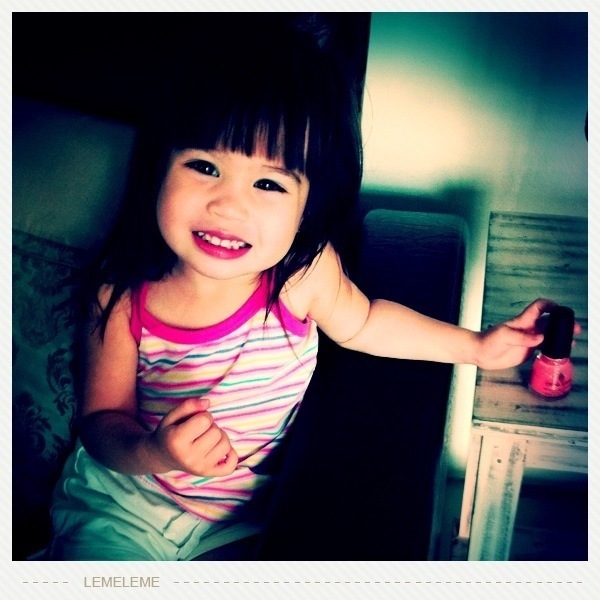 Okay, she will wield a toy knife and shoot her brothers with a Nerf Gun with surprising accuracy, but she likes make-up, nail polish, stuffed animals and dolls, and her movements are very feminine. I like the quirkiness that being around boys adds to her personality, but for the most part, she likes to copy me and be with me. After many years, I finally have a daughter to hang out with! It’s a delight to discover this dimension of being a mom. I didn’t use to be so conscious of my actions and mannerisms until I realized that I have a little girl watching me closely and imitating me. Yesterday, Edric found her on my side of the bed propped up against my pillow with her legs tucked under my blanket. She had turned on the lamp and had my phone in her hand. She looked just like a mini version of me. I went to spy on her and saw her fiddling with my phone. It’s one thing when she copies this kind of behavior but when she starts acting up and has attitude issues, that’s a different story. I have noticed that there are instances when she copies my bad traits.Yikes. While modeling femininity is of value, I know that it’s more important to model character and what it means to be a godly woman. I am her number one source for understanding who she is as a female so I have to be on my toes. Thinking back to when I was growing up, my mom was my reference point for womanhood. I would often think, What would mom do if she was in my situation? How would mom respond? I praise God for a mother who was not only feminine but a beautiful woman inside because of her love for God. Up to this day, I look up to her and admire the way she smiles at the future, embraces life, and lives 100% for God and others. Someday, I pray Tiana can say the same about me. In the meantime, I am enjoying the girl time I have with her. I am getting to know her and she is getting to know me…hopefully, she is witness to my more redeeming traits that are worth emulating!